Lift Solutions has top quality elevator wire rope in several strand configurations, cores and lays to meet any traction elevator application project requiring hoist, governor or compensating ropes. We offer hoist, governor and compensating wire ropes for your traction elevator needs. Our rope has been engineered and tested for some of the most extreme conditions and to handle several types of applications and situations. 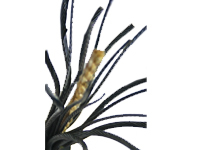 We offer sisal, synthetic and steel IWRC ropes. Synthetic plastic cores are more precise in diameter, offer more stability in form and are more resistant to humid environments. 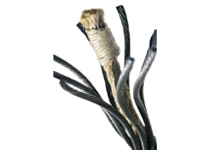 Independent Wire Rope Core (IWRC) ropes have less stretch and create a firmer structure to the rope diameter. Our multiple warehouse locations reduce the lead times for your wire rope orders to be delivered. We have strategically located our distribution warehouses across the United States for convenient and faster deliveries. 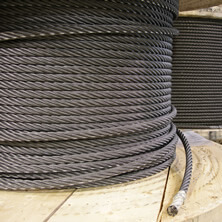 All ropes are pre-lubricated during the stranding phase of production. Properly lubricated ropes can almost double the service life of the rope. Lubrication helps prevent corrosion, abrasion and rouging. Our elevator ropes come with a Bright (self-colored) finish and a lubricant designed to enhance the traction process. Galvanized wire ropes are available for special applications requiring additional levels of corrosion protection that cannot be fully accomplished through the lubrication of the wire rope. Galvanized ropes are constructed of ‘Drawn Galvanized Wires’, which allow our galvanized ropes to have the same breaking strength as our Bright Wire Ropes. Our elevator ropes are made in right regular lay, unless otherwise specified. Regular lay rope is the type of rope wherein the lay of the wires in the strand is in the opposite direction to the lay of the strand in the rope. The crowns of the wires appear to be parallel to the axis of the rope. Lang lay is the type of rope in which the lay of the wires in the strand is in the same direction as the lay of the strand in the rope. The crowns of the wires appear to be at an angle to the axis of the rope. 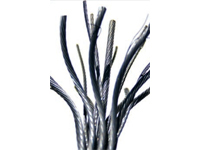 Lang lay ropes are used primarily in highly abrasive and/or reverse bending applications. Elevator rope constructions are available in: 8x25 Filler, 8x21 Filler, 8x19 Warrington, 8x19 Seale, 6x25 Filler, and 6x19 Warrington. Strand construction that accommodates more wires in it will be more flexible due to smaller wire sizes within the strand. ON the other hand, strands with bigger outer wires tend to have stronger resistance against abrasion wear, but less surface contact with the driver. Range of motors for several elevator applications. Hydraulic and traction modernization packages.